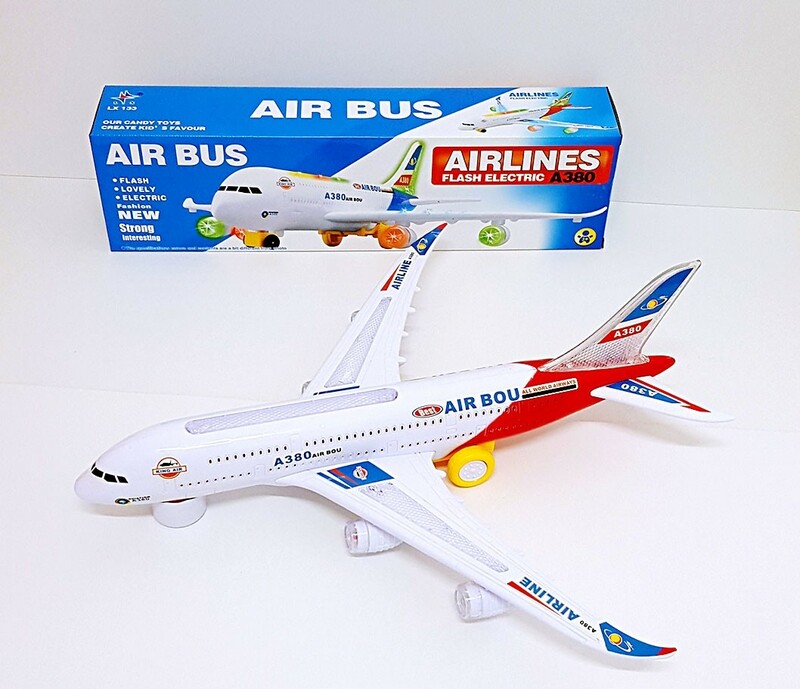 Toy airplane with flashing lights and sound as it drives with the Bump-and-Go technology. Turn the plane on and watch it go with LED colorful flashing lights and music as it drives. Great gift for kids. Plane has a nice colorful and smooth design. Plane turns by itself when it runs into any obstacles.